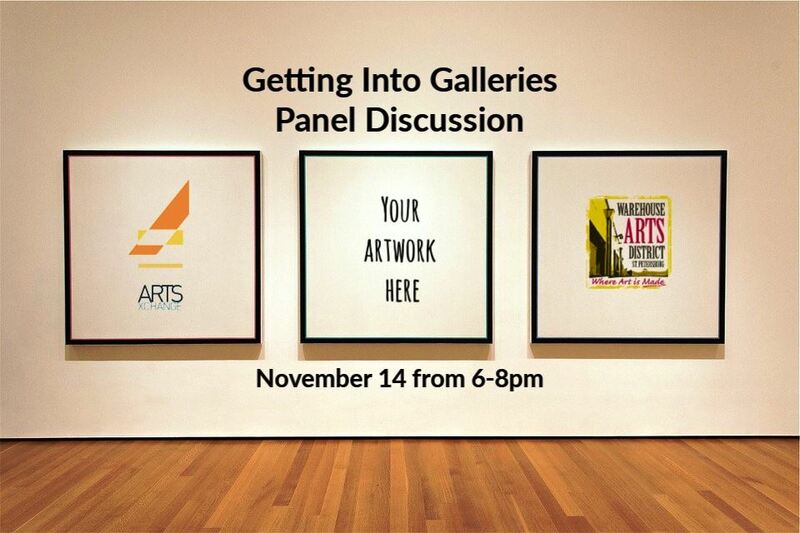 Artists are you wondering how to get your work into top galleries both locally and at the national level? Join us for this insightful panel discussion covering topics such as pricing, selection criteria, contracts, advertisement and representation. Panelists include Jeff Schorr of the Craftsman House, Katie Deits of Florida CraftArt, Shawn Hannan of Tampa Bay Furnishings, Leslie Curran of Articles and our own Warehouse Arts District Executive Director, Diane Bailey Morton. There will be refreshments and an opportunity to network with the panelists and fellow artists following the discussion.